This Houston, Texas, native began his comedy career at Houston�s Hip Hop Comedy Stop during an amateur night show. After succeeding the first night, the club�s owner encouraged him to come back, and Ezra quickly became a house favorite. Being a regular performer at the club gave Ezra the opportunity to listen and learn from the best in the business. Ezra received huge kudos from Michael Colyar and Cedric the Entertainer, and a ton of advice from Steve Harvey. Learning to sit down and write CLEAN material was the key to succeeding on stage, and Ezra moved up from weekend warm up to house opener which gave him the opportunity to open for many of today�s top bill comics from Steve Harvey, Cedric the Entertainer, Paul Mooney, and a host of others. �I�m just grateful that David Raibon gave me the weekend spots because I got the chance of a lifetime to learn firsthand from Michael Colyar, Steve , Cedric, T .K. Carter, J. Anthony Brown, and all the others because now these guys are so huge, you can�t get that one on one with them. I even opened the show on Ladies Night! Now I�m a Headliner ! Perseverance is the key! says Ezra. Ezra knew he had a talent for comedy when he laughed at his grandmothers� funeral. With his boyish looks and clean delivery on stage, Ezra is in DEMAND. 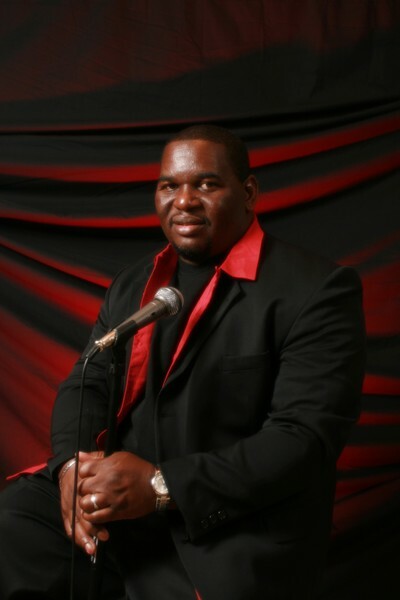 When not performing in comedy clubs, Ezra can be seen performing his act in churches all over the country as well as college and corporate events. In 2002, Ezra landed his first gig in Las Vegas. While performing, he caught the industry�s attention, and received a two year extension. �That�s the plus to being Clean and CRAZY!!! Shouts EZRA. He also hosts his own comedy show �Ezra�s Comedy Slam� that showcases some of the country�s hottest comics. The show debuted as a success, and is performed in clubs and churches all over the country. �It�s a crazy thing to see people in church falling out laughing for 2 hours straight when we perform!� says Ezra. �I�m amazed that I actually keep their attention while holding a mic for 60 minutes, and it�s basically the same act I do in clubs, at colleges and corporate events! That shows that if it�s clean, it can be done anywhere.� he adds. Ezra said that he is convinced that stand up comedy is a way of life for him, and that revelation came after he rendered a stellar performance in Atlanta, Georgia, at Jamie Foxx�s Laffapalooza in 2006. Ezra brings a Texas flavor that the soul savors in his act touching on family, church, and today�s society. Don�t miss a chance to indulge in EZRA, A TEXAS TREAT!!!!!! !